At a time when allotments are the height of cool, beekeeping is the new buzz and the 'hen-lady' next door is the one to know; the properties we choose to inhabit are an important lifestyle factor and are increasingly viewed as a statement about our values. Concrete blocks have long been out of fashion; wannabe good lifers are on the hunt for an abode to reflect their lifestyle choices and improve their standard of living, often opting in favour of a more self-sustaining home. CKD Galbraith has the answer as it brings to the market a number of properties and small holdings that are energy efficient or include additional outbuildings, fishing rights or biomass boilers to help you live the good life. 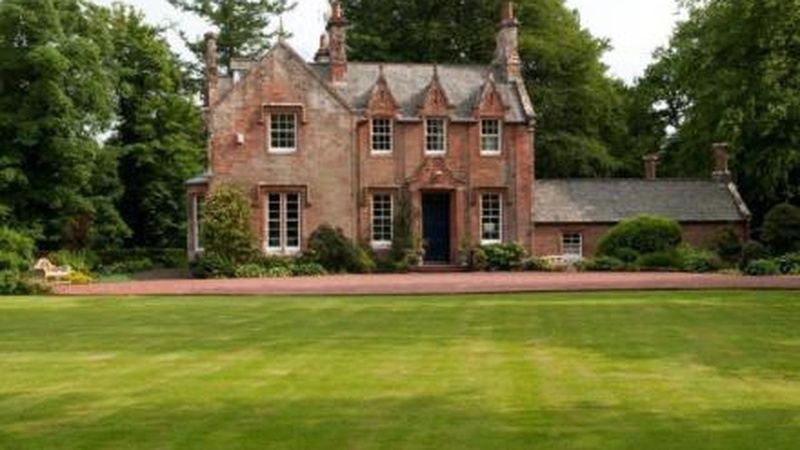 Bob Cherry, partner and head of residential sales at CKD Galbraith's Ayr office has found in his years of experience that such properties, ideally located in the stunning Scottish countryside, often come at a fraction of the price paid elsewhere in the UK. He added; "What's more with these types of property you are purchasing a lot more than bricks and mortarit's the whole package of rural living, fresh air and the opportunity to live a relatively self-sufficient lifestyle an increasingly frequent request from families and those tired of the city grind. "We have a range of properties across Scotland on the market which offer an excellent quality of life but the package comes in several different shapes and sizes from quaint cottages to grand manor houses, being environmentally-friendly doesn't mean living in a mud hut!" 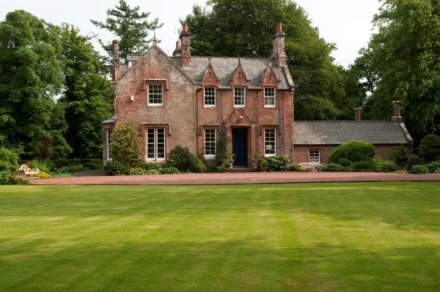 The Anchorage is an elegant Georgian Manse set in the beautiful Elgin countryside and was recently renovated to include an energy efficient biomass heating system. The charming walled garden could easily feature a vegetable plot and have still have ample room for those chickens. 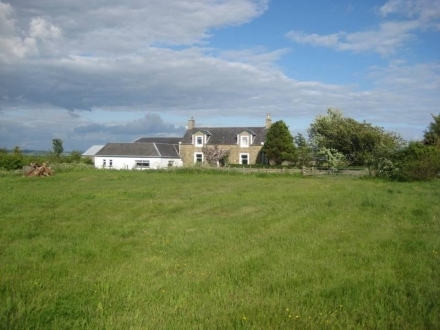 This is the ideal property if you desire the indoor space and grandeur but also easy access to the Scottish country side and the facilities to live sustainably. Tibertich, an attractive small amenity Estate in rural Argyll, is a charming four bedroom county farmhouse with two holiday cottages set on 295.4 acres. 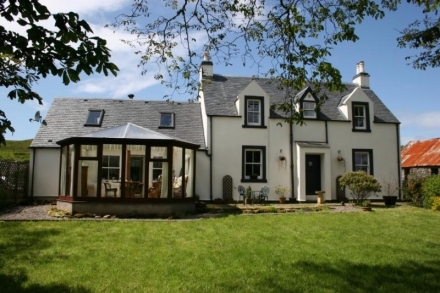 The property includes extensive grazing land, broadleaf woodland plantation and fishing rights on Lochan. This home offers the opportunity to live sustainably with potential additional income from the holiday cottages and Sporting activity on the Estate. Lissens Moss Farm is the property for those truly looking to set up their own idyllic small holding. The property's 14.41 acres provides enough grazing for a few sheep, cows and goats; includes its own wind turbine for electricity and a barn which already has planning permission for a 5 bedroom house or holiday home. The property offer buyers the opportunity to generate additional income and live self-sustainably in the lovely Ayrshire countryside but with Glasgow only a short 45 minute commute by car. 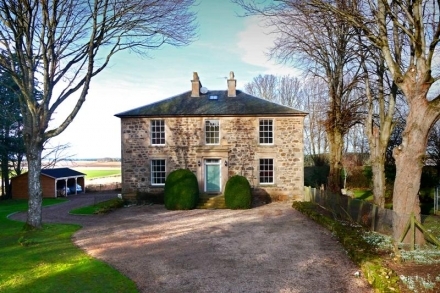 Blacket House offers 75 acres of gorgeous grounds and an excellent general purpose agricultural building set in the highly accessible location of Eaglesfield, Lockerbie. This property has an abundance of potential with its 60 acres of grazing land, vast lawns, woodland and mature gardens, fishing rights for the Kirtle Waters, as well as a derelict coach house and stables this manor house could be used as a large family home or as a popular B&B serving home-grown veg and fish caught from the bottom of the garden. If you would like to see more of our properties for sale across Scotland - use our property search.